Summer time is easy living. This fresh, deliciously simple salad is perfect to whip up for any summer gathering! 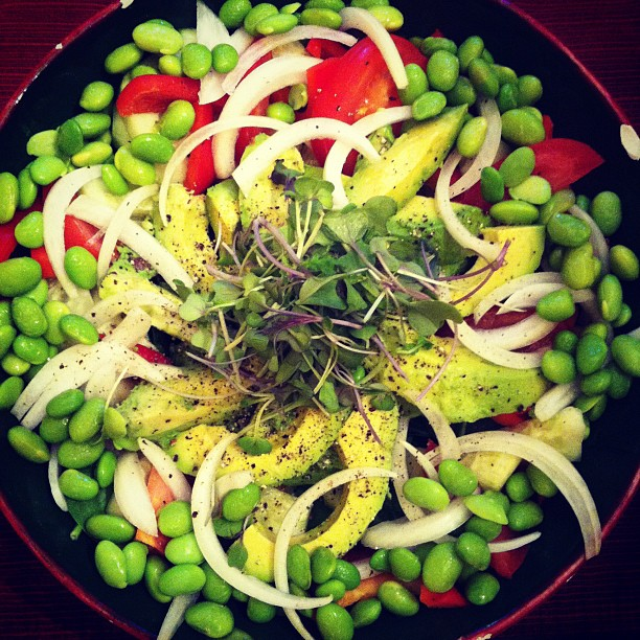 In a large bowl, layer Baby Spinach and Edamame. Cut Cucumber in quarters and slice Tomato, White Onion, and Avocados. Layer those into the large bowl. Add a little handful of Micro Greens on top. Drizzle with Olive Oil and Crack some Salt n Pepper on that salad and serve!